This beautiful and interesting length of rural railway has always been relegated to a small section in books on the Somerset & Dorset line. 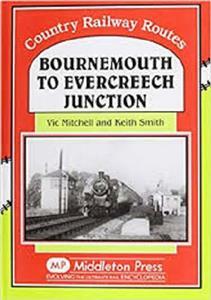 Now it is fully illustrated in an exclusive album, together with the early station at Poole and the long lamented terminus at Bournemouth West. Old tickets, timetables and maps add flavour to this generous helping of steaming through nostalgia. 120 photograghs and 96 pages hardback.